Hello! 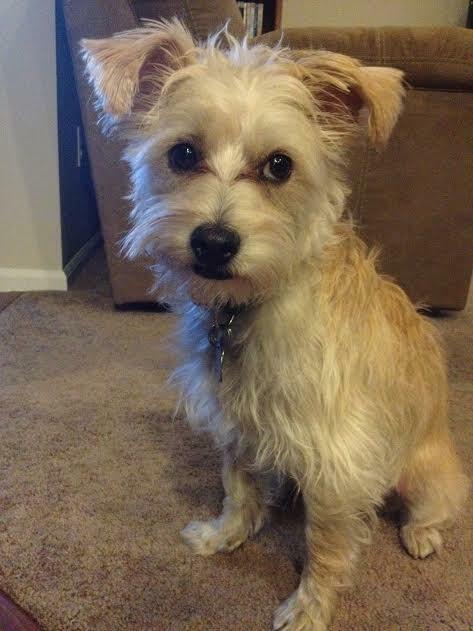 Henley P. here, everyone’s favorite Thundershirt wearing Westiepoo with a guest post. Today we’re reviewing Merrick’s Brauts-N-Tots! Our good friends over at Chewy.com sent Teton a swag bag of treats and snacks and fun stuff and Teton shared with me, in exchange for a review, of course. 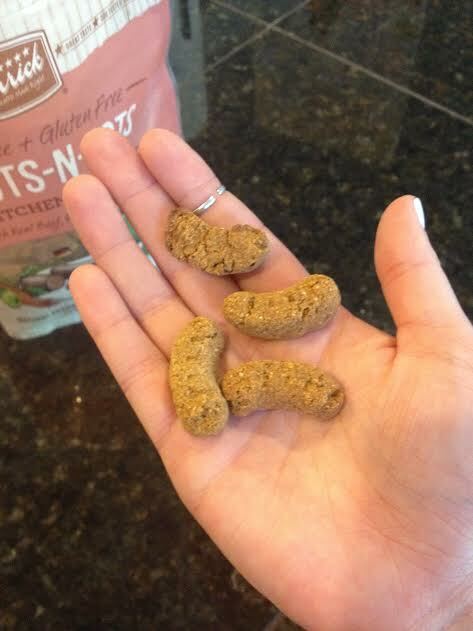 We’re familiar with Merrick, as I eat Merrick dog food, so we volunteered to try Merrick’s Brauts-N-Tots! Brauts-N-Tots are fun, braut shaped crunchy treats. Love a short ingredient list! Beef, sweet potatoes, potatoes, and carrots are the first ingredients. They are also grain free and gluten free, if you are looking for those kinds of snacks. 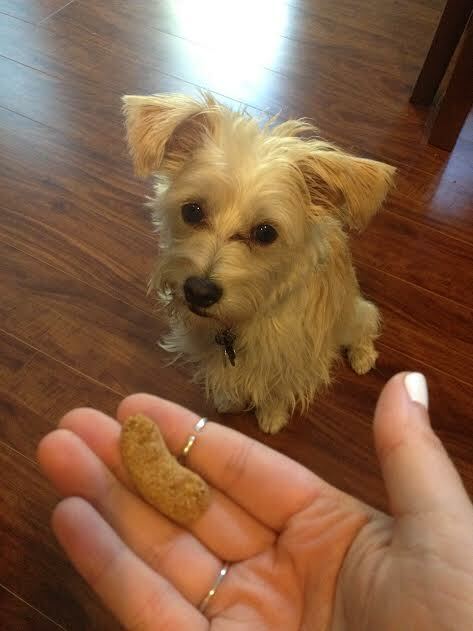 My mom usually only gives me one at a time, because I’m only about 14 pounds and don’t need a lot of treats. I tend scarf down soft treats, but I like to take my time with the crunchy ones. These treats are delicious. The only complaint is that they tend to break up in the bag, so by the time you get to the bottom of the bag, you have more half brauts than full brauts. I think I still prefer soft treats, but I definitely like these when I’m looking for something to crunch on. 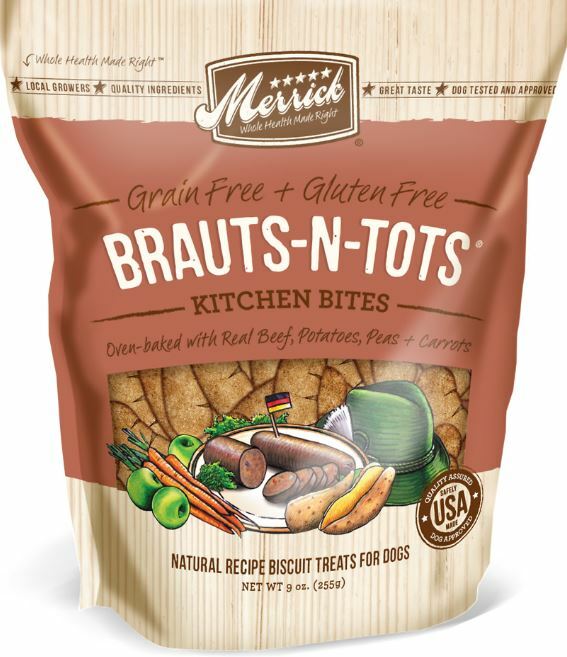 Merrick’s Brauts-N-Tots are available at your local pet store or on Chewy.com, on sale, for $4.49! Thanks for sharing, Chewy and Teton! Posted on August 26, 2014 by Shannon	This entry was posted in Treat Jar. Bookmark the permalink.